Get up to 7 free auto shipping quotes from the largest, most trusted Kentucky auto transport companies and save up to 50% on your car shipping rates at CarMoves.com. Car shipping companies in Kentucky compete for your business, which is how you can save hundreds, if not thousands of dollars on car transport services by shopping with us. Whether you're shipping a car to Kentucky, across the country, or even overseas, we can help you get the best price on your shipment - guaranteed! Read more about the following auto transport companies in Kentucky before getting a quote. Click on the name of the company to read a full review. Auto Transport 123 Despite Auto Transport 123's late start in the auto shipping industry, this 2010-founded company has already garnered acclaim, such as being the year's "best reviewed auto transport company." Additionally, Auto Transport 123 includes a particularly generous $1,000,000 insurance policy on enclosed transportation services. 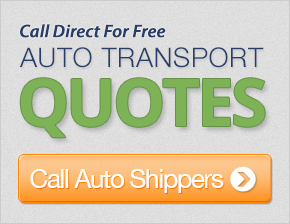 Get a free auto transport quote today to find out how much it costs to ship a car to or from Kentucky! Kentucky is a state known for its many natural treasures, including abundant wildlife and geographical features. Even the state's nickname, the Bluegrass State, references the characteristically dark greenish-blue grass that can be found all over the state. Kentucky has large native populations of deer, turkey, and elk. Unlike many other US states, the state has maintained an profitable coal mining industry, though it has declined in overall prominence in the state. Health complications resulting from the predominant mining throughout the state has also led to protesting, yet both primary political parties continue to support Kentucky's longstanding coal mining advocates. Besides the state's many natural resources, Kentucky also has a very influential culture that is well known to many Americans. Music and sports play strong roles in the daily lives of many residents. Country music is very popular for many residents, and is the main type of music showcased in the Kentucky Music Hall of Fame. However, the state' own indigenous music is known as bluegrass, a sound developed by residents of the Appalachian Mountains that blends European folk music styles with that of the American jazz sound. Sporting events, particularly college football, basketball and NASCAR, are all very popular. The Kentucky Wildcats fans have many reasons to cheer, as their basketball team has more wins than any other team in the league. Most recently, the Wildcats were the NCAA Tournament champions in basketball. 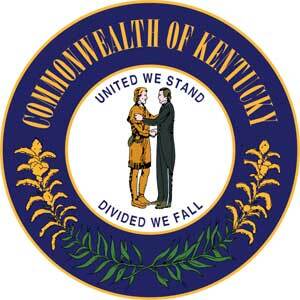 Economically, Kentucky has a historically established farming and livestock industry. In particular, horse-breeding erupted as a result of the thriving horse racing community, and the state is now quite well known even internationally for its prestigious equine stock. Lesser known today are the booming auto manufacturing enterprises located there, including facilities for the production of the Chevy Corvette, Ford F-Series trucks, and a variety of Toyota cars. Overall, Kentucky has the fourth largest auto assembly market in the country. CarMoves.com works with car shipping companies throughout the state of Kentucky. We can help you get the best prices on car transport services to the following cities in Kentucky: Louisville, Lexington, Bowling Green, Owensboro, Covington, Hopkinsville, Richmond, Florence, Georgetown, Henderson, Elizabethtown and many more. If you don't see your city listed, don't worry - we can get your vehicle shipped anywhere in Kentucky. Scroll to the quote section on this page to compare free auto shipping quotes from up to 7 Kentucky auto transport companies and save up to 50% on your move! View the Kentucky Transportation Cabinet website for more information.